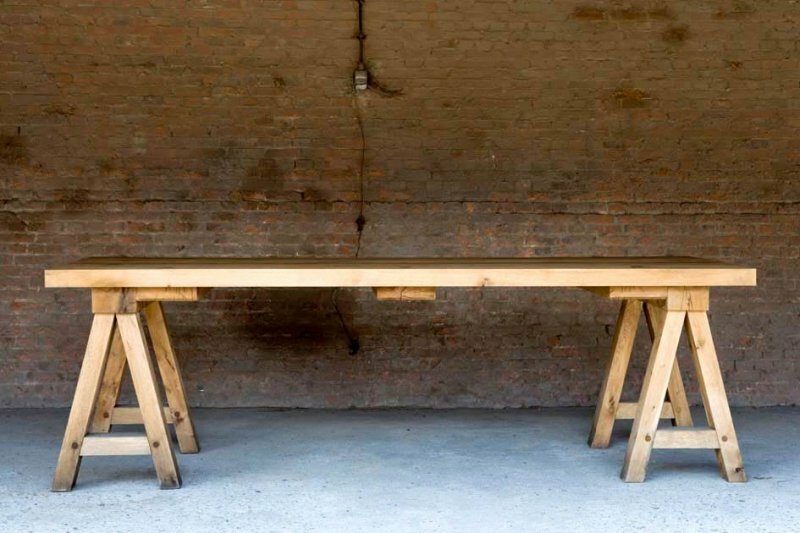 Much like our Trestle Table 1 this Trestle Table 2 is a permanent member of the The St-Paul Home Collection. Different in style with the "metal plates" or "big nails" in the tabletop like the fans call them. In fact they are used to fix the beams under the tabletop. 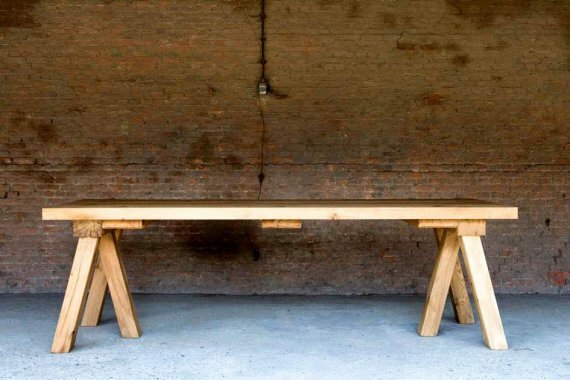 Design going hand in hand with function... this Trestle Table 2 is the proof it can be done! 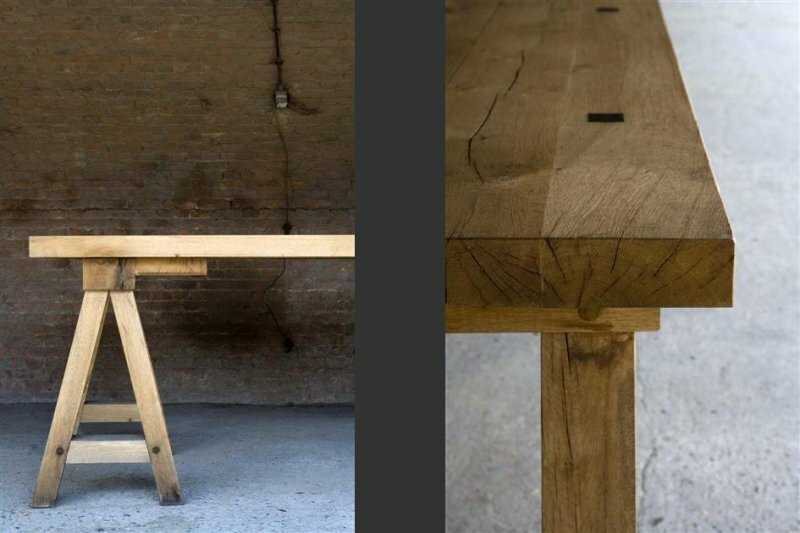 Indoor and outdoor this table in solid oak will outlive coming generations. And naturally it will age most beautifully. Contemporary, classic or eclectic, this table has and will always find a place in any interior. Just because of its simplicity, quality and timeless design.